Pakistan Hockey Federation (PHF) President Brig. (R) M. Khalid Sajjad Khokhar on Friday acknowledged the team’s failure to reach the Olympic Games this year and said the organisation’s prime target was to qualify for the next World Cup and Olympic Games. Speaking to journalists at the inauguration of the National Women Hockey Championship here at the Naseer Bunda Hockey Stadium, Khokhar expressed disappointment over national side’s failure to qualify for Rio Olympics. “We are disappointed that the team has not qualified for Rio, but now old mistakes will not be repeated,” Khokar said, adding,” I am grateful to prime minister for taking interest in the national game. “We will not allow a single penny to be wasted from the grant we get from the government,” he said. Khokhar called on the former Olympians to come forward and play their role for the revival of the game. Speaking about the Pakistan Hockey League (PHL), he said the PHF and the government are very serious about organising the league and will get the No Objection Certificate. 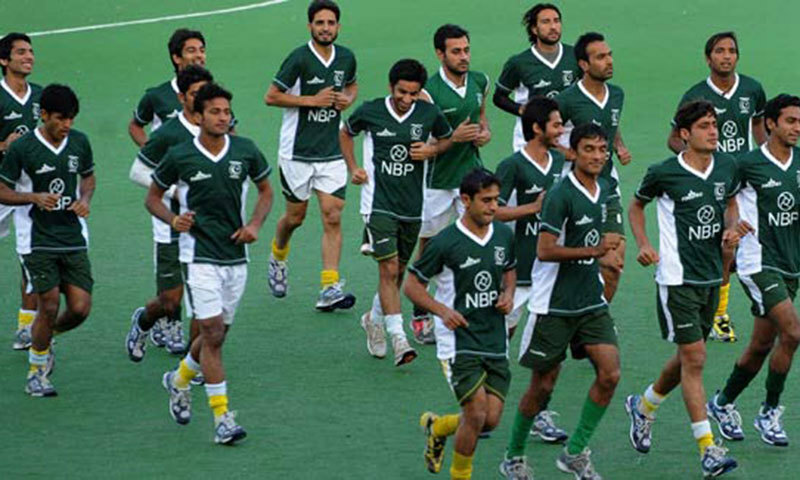 On the occasion, PHF Secretary Shahbaz Ahmed Sr. said he could feel the pain of the players for not qualifying for the Olympics as it is an honour to participate in the Games. Players from 30 countries, including Argentina, Germany, and Australia, are likely to participate in the inaugural edition of country’s franchise-based professional league to be staged in November, said Shahbaz Ahmed told APP. “The event will most likely be staged in Lahore, Faisalabad and Gojra,” he said, adding, now we just need the permission from the Punjab Government and for that we have written a letter to them. “We are making all-out efforts to initiate our first league before the end of this year and for that we are making contacts with players of different hockey playing nations. “Besides providing financial support to us, the league will prove a landmark in regaining the lost glory of the national game. “We are sure it will help rebuild our supremacy in the game internationally,” he said. He said that since Pakistan has not been performing well in the international arena, the league would therefore increase the national and domestic players’ confidence by playing with foreigners. Pakistan failed to qualify for Rio Olympics for the first time in their illustrious hockey history after losing to Ireland 1-0 in the 5-8 position classification match of the Hockey World League in Antwerp, Belgium last year. It should be noted that Pakistan lost to teams such as Great Britain, Ireland and France. They were thrashed by Australia 6-1 earlier in the tournament and managed to draw their crucial game against India.